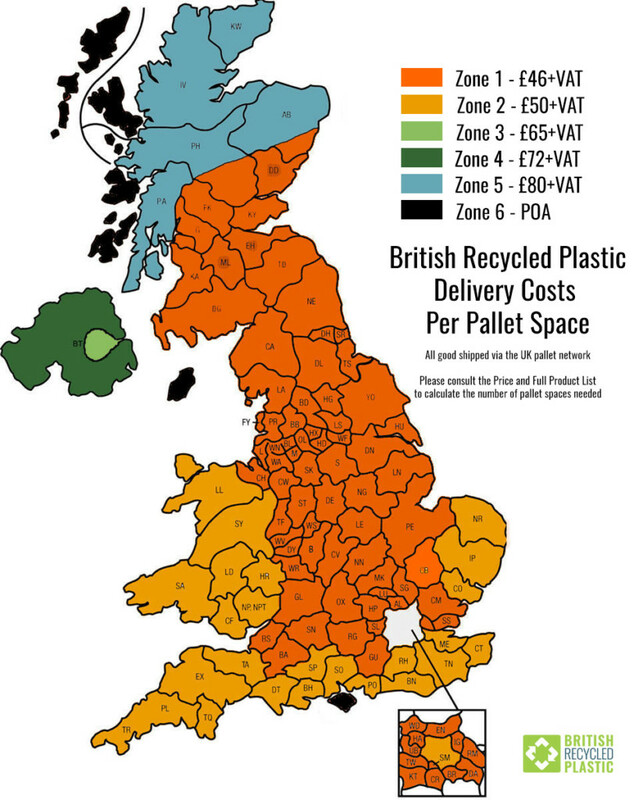 Transport map showing carriage costs for British Recycled Plastic throughout the United Kingdom. Zone 1, £46+VAT per pallet space. Zone 2, £50+VAT per pallet space. Zone 3, £65+VAT per pallet space. Zone 4, £72+VAT per pallet space. Zone 5, £80+VAT per pallet space. Zone 6, Price on request as subject to variation.